A car wash at the Waters Garage site in Hertford has been issued with a notice from local authorities telling it to cease its business. 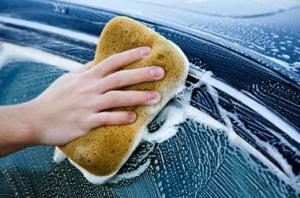 East Herts Development Management committee voted last week to uphold an enforcement notice that had been handed to the business, asking them to end the unauthorised car wash. The Hertfordshire Mercury reported that the noise and disturbance caused by the cleaning services had created concerns among local residents, who had voiced their displeasure to the council. Transparency and communication with authorities about business plans is not only important for maintaining healthy relations with the local council, it is also very important when sourcing a motor trade insurance quote. A company should always disclose the most accurate details possible to ensure it gets adequate cover for the services it offers and the products it has on site. However, Councillor David Andrews (Con, Thundridge and Standon) visited the site and said he did not believe there was a problem with a car wash being run from the garage site. He told the committee: “I found it in keeping completely with the site."